The 2017 Stackoverflow Survey also shared networking, indeed does matter, when the question was asked about how developers found their current job. The most common way developers found their most recent job was through a friend, family member, or former colleague who told them about it. The second most common, however, is by being contacted by someone at a company, such as a company recruiter. If you would like to network with us through social media networks, contact Jeremy Jordan, the Sr. 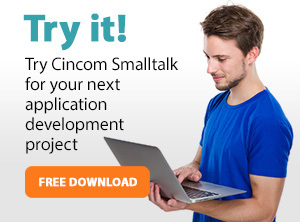 Creator of Opportunities for Cincom Smalltalk for more information.